Honorable Mention was awarded to Ari Fontecchio of the Benjamin N. Cardozo School of Law for his essay entitled “Naming, Framing and Taming: Why Timing and Emotional Intelligence Really Matter in Crisis Intervention. Ari interviewed me months ago on how I, along with the entire NYPD Community Affairs Bureau, used various conflict resolution skills during the emotionallly charged Tibetan Protests in New York City during the Spring of 2008. Below is an exerpt of his paper. You can read the entire paper (which you should!) [here] and read the official announcement [here]. The Boskey Dispute Resolution Essay Competition honors the memory of James B. Boskey, humanitarian, Seton Hall University law professor, and mediator, who became known and beloved world-over for his publication of The Alternative Newsletter, a resource guide on ADR published quarterly. The Boskey Dispute Resolution Essay Competition is a project of the ABA Section of Dispute Resolution’s Law Schools Committee, learn more. The Essay Competition is chaired by Professor Jean Sternlight, Saltman Professor, UNLV Boyd School of Law & Director, Saltman Center for Conflict Resolution. In this way, Thompson and his colleagues had already fashioned a strong third side99 that they could leverage during the large-scale conflict to come. Additionally, this network of relationships familiarized Thompson and his fellow officers with the Tibetans’ concept of cultural identity, or their attunement frames.100 This armed CAB with the ability to mirror and match the protesters’ frames even as tempers flared in front of the Chinese Consulate. For example, during the protest, Thompson spoke into the megaphone using Tibetan phrases and prayers,101 demonstrating an ability to match the Tibetans’ cultural awareness. This technique of matching proved so effective that over the course of the twentytwo day conflict, protesters came to endearingly call Thompson “om mani padme hum,”102 the introduction to a prayer Thompson repeated to demonstrate cultural understanding.103 Once he had successfully matched the protesters’ attunement frame, he was able to move towards reframing the conflict towards de-escalation and eventually to resolution. sides of the officers send visual cues of neutrality, which had a calming effect on the protesters. viewed as neutral mediators—standing next to spiritually revered monks—rather than firstperson negotiators, hostile to the interests of the Tibetans. representing the city, but that they were mediators at the core of a strong third side, an extension of the mediator. The officers’ ability to contain the protest and prevent a riot, can be traced in no small part to their ability to time this transition between roles, and to wait for a moment of crystallization where taming the conflict became possible through properly matching the protesters’ attunement frame. 95 Thompson, supra note 3. 99 The third side in this case was comprised of numerous stakeholders in the conflict, including the police department, patrol officers, various Tibetan groups and an entire hierarchy of monks and monastics from the spiritual community. 100 See supra text accompanying notes 52-57. 101 Specifically, Thompson repeatedly recited, “Om Mani Padme Hum,” a well known Tibetan chant for inner peace. 102 The meaning of this mantra is difficult to translate into English, but its effect is to calm those who speak and hear it, “invok[ing] the powerful benevolent attention and blessings of Chenrezig, the embodiment of compassion. http://www.dharma-haven.org/tibetan/meaning-of-om-mani-padme-hung.htm#Meaning (last visited Apr. 20, 2009). 103 Jeff Thompson, supra note 95. NYPD (New York City Police Department) UNITED Soccer and NYPD Cricket are two programs which I (the NYPD Community Affairs Bureau) created to reach out to the young men primarily in the Muslim community as a way to create communication and understanding between the Police and the community. With the mindset of a practicing ADR professional, I created both programs as a genuine way to reach out to the young men of the communities as soccer and cricket are the sports they play. We (the NYPD) feel it is a great way to breakdown barriers and generate understanding– all while having fun! I would like to share with everyone an article the New York Times wrote on our Cricket program (it was even mentioned on the front page!). The article is [here] and a great corresponding NYT’s video is [here]. http://NYPDunitedcricket.blogspot.com. 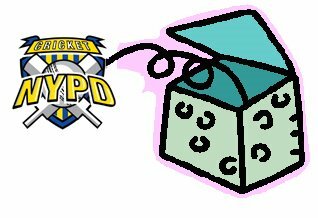 As an example of reaching out to the audience, we even created a twitter account (www.twitter.com/nypdunited), a YouTube page (www.youtube.com/nypdunitedcricket) and a blog type site. 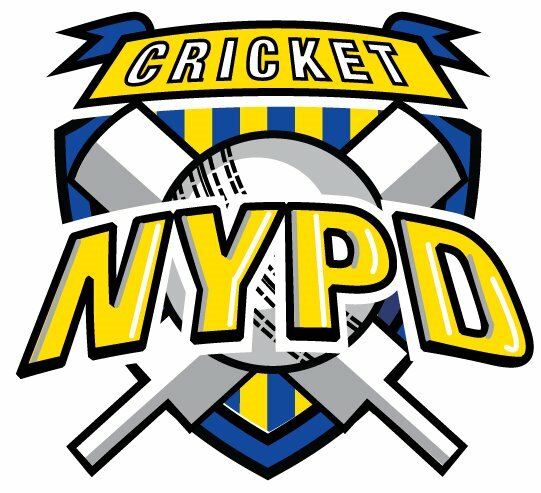 Just added- the CNN news segment covering the NYPD Cricket program (see below). That is the quote of the day. What does it mean to me? Perhaps, if you have nothing good to say, don’t say anything. Or maybe, silence is golden. For me, it is a nice reminder to take a breath. Sometimes a deep breathe, sometimes just a simple normal breath. I do that before I speak. You know what, sometimes after doing that, I realize I do not really have to say what I planned on saying. As a mediator, I remind myself, “it’s their process, not mine”. Yes, it’s cliche but it is also true. The quote reminds me to respond, not react. I mention often the importance of communication, especially the things we do not say but our actions, movements, body language, etc. That said, it goes without saying it is really important to remember that our words help direct a mediation (as the mediator) as our words shine through to the parties without a filter attached. Our words spoken cannot be taken back. Be it as a mediator or a negotiator, friend or co-worker. It doesn’t matter if you are drunk or sober (take my word, don’t try it at home!). So, it is Friday and to keep it brief, choose your words wisely, enjoy your weekend! I found this PDF file from the law firm Blaney McMurtry LLP (Toronto, Canada) while writing the 7 Elements of Negotiation, Part 6: Communication (LINK). It has a list of tips for communicating during mediation. …And finally, foster an atmosphere of cooperation and collaboration. For more details on each of them, download the file [here] and you can also visit their site [here]. You are currently browsing the archives for the communication tips category.